DEQUBE TECHNOLOGIES have created and launched about 155 websites since our since our foray into web design, for many different types of businesses. DEQUBE TECHNOLOGIES have the creative talent to appeal to your sense of style, the training and knowledge of current web standards and practices, and the ability to turn your ideas into reality. DEQUBE TECHNOLOGIES' website design clients range from small start-up companies to large corporates and everything in between. With our combined experience in graphic design and website development, you can be confident that whatever your project demands, we can deliver. Browse our Portfolio and when you are convinced of our abilities, you may request a quote with no obligation whatsoever. DEQUBE TECHNOLOGIES can create high quality websites which will add value to your presence on the internet ultimately leading to increase in its appeal. 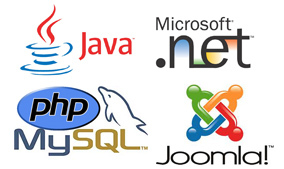 At DEQUBE TECHNOLOGIES we can create websites based on joomla, PHP, ASP, HTML5 or any other technology for your website. Flash based design and flash animation are also made to your requirement to make your future site more vivid and modern-looking. DEQUBE TECHNOLOGIES also host & maintain websites for a number of customers. At DEQUBE TECHNOLOGIES we rarely come across businesses that do not make vast improvements in their returns by utilizing our fully integrated services. We are a one-stop vendor who can bring it all together. Our processes and systems, while tailored to each individual client, are proven and work across the board. Digital marketing is marketing that makes use of electronic devices (computers) such as personal computers, smartphones, cellphones, tablets and game consoles to engage with viewers and possible consumers. DEQUBE TECHNOLOGIES aims at providing end to end solutionsfor the web and hence we have recently introduced Search engine optimisation, Search Engine Marketing, Web analytics, Social Media Marketing and online marketing management. DEQUBE TECHNOLOGIES comprises of a team of seasoned software professionals dedicated to provide a reliable and cost-effective end-product in application development. Our Application Development model is a result of various innovations and enhancements, and is engineered to deliver a product that not only fulfils clients' requirements, but also adheres to global standards of software engineering. 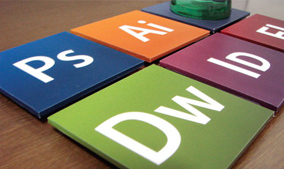 DEQUBE TECHNOLOGIES provide high quality graphics, printing products and services. We are producing high-quality, low-cost color printing as per your requirements. 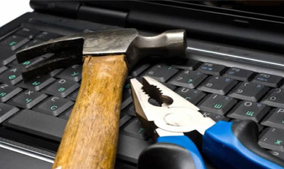 We will complete your project in accordance with your requirements. We have experience in the graphics industry, and we produce very high quality work. Our high quality work and best service have earned us many customers. We offer Color Offset Printing, Book Printing, Brochure Printing, Poster Printing, Graphic Design, Flyer Printing, screen printing and many more other services.